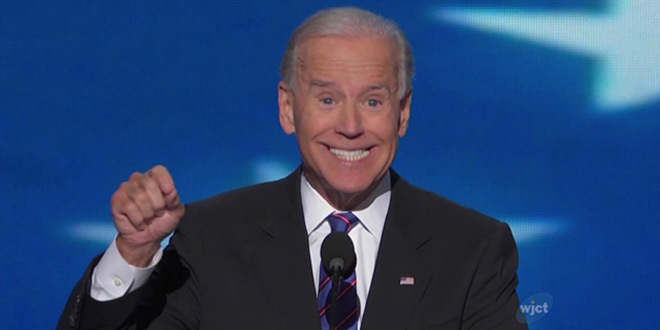 There’s something charming about that Joe Biden. Though he’s Vice President of the United States, his imperfections resonate with us all. He’s got a big smile à la the Grinch, his hair is often out of place — and best of all — he doesn’t seem to have a filter; he’s never one to hold his tongue. Did you know that he supposedly told that the Prime Minister of Russia that he’s soulless? Yep, like I said — no filter. Biden’s cheeky, cavalier, laid-back spirit at the 2012 debate — in comparison to Ryan’s tight-collared demeanor — won the hearts and laughs of the American people. The Veep reminds us that politics doesn’t always have to be stuffy.